There’s lots of fun stuff to do around Perth. Caversham Wildlife Park is one of the best I’ve ever been to in terms of being able to get up close and personal with a lot of furry animals. Which is one of the things I like to do. There are heaps of Kangaroos just lying around waiting to be fussed, and if it gets too much for them they just hop behind the ‘kangaroos only’ barrier and get a break from all the attention. 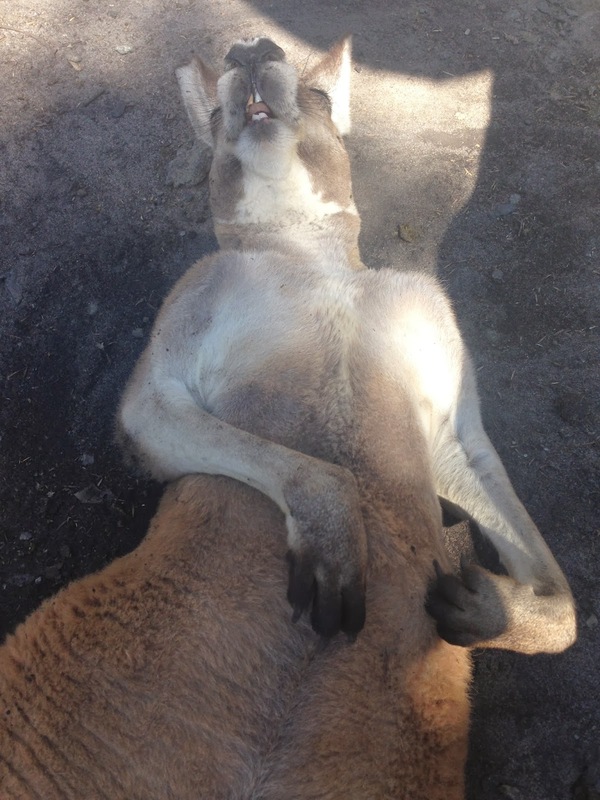 Many of them have baby Joeys half in and half out of their pouches with just some ears and a foot or nose peeping out.The Caversham Roos are the most laid back Marsupials ever. The relaxed atmosphere of the park probably has something to do with the fact that it’s still a family owned business and is the largest privately owned collection of native wildlife in WA. David & Pat own and operate Caversham Wildlife Park with their children, David & Debbie. I’m ready for my close up Mr De Mille.. When they purchased the park in 1987, the park housed a small collection of animals and birds on a modest 5 acre (2ha) property. A few years later, the park doubled in size, when the family purchased the adjoining property and the collection started to boom. In May 2003, the family designed and built a new park in Whiteman Park, once again, more than doubling in size. The park features about 200 species, and more than 2000 head of animals, birds and reptiles. 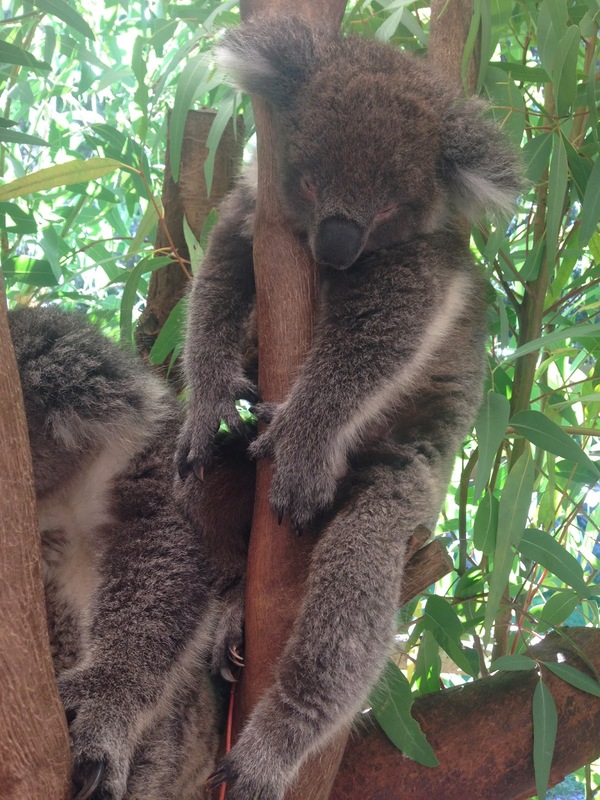 You can stroke a Koala – we were captivated by baby Ned and his mum Mini. Koalas sleep for 20 hours a day and feed the rest of the time, We did actually see one awake munching on Eucalyptus leaves which I videoed for posterity. 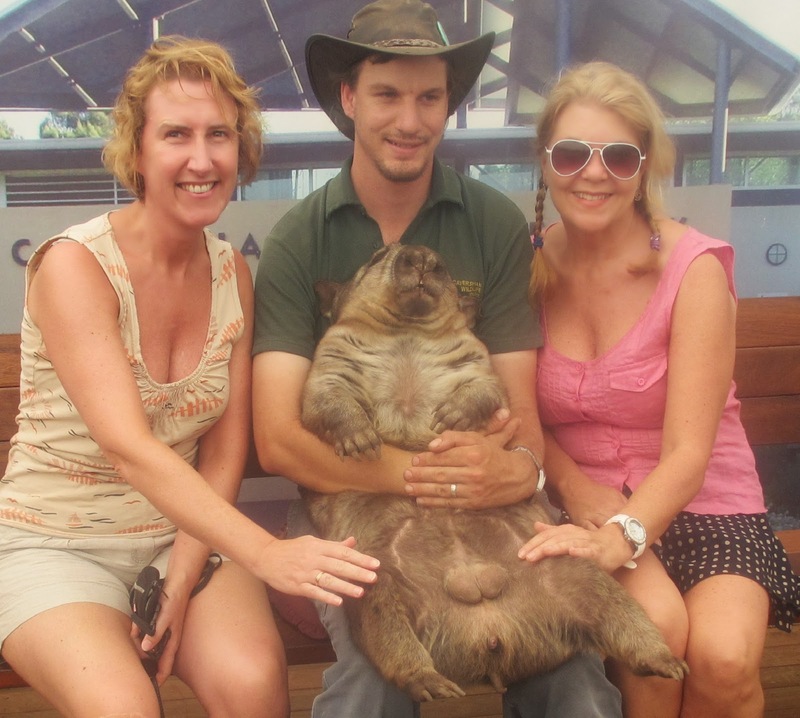 Or you can cuddle a large hairy nosed Wombat (ours was called Neil) stroke Barry the Python and Luna the Possum. You couldn’t stroke Sylvester the spotted QuolI as he is a carnivore and could mistake your fingers for a sausage sandwich. 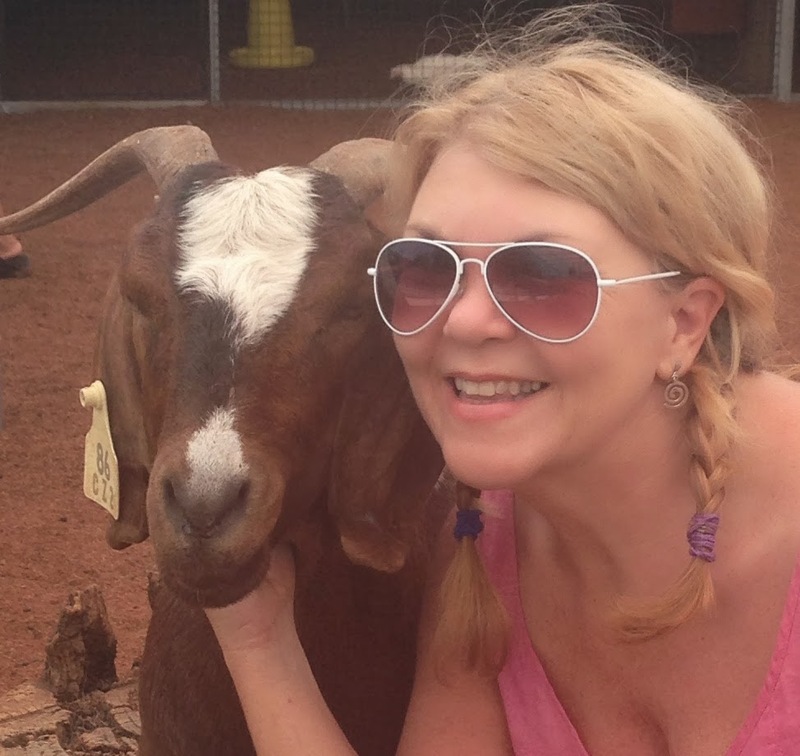 I even managed a selfie with a friendly goat. Other favourite furries included the high speed baby guinea pigs whizzing around their enclosure like over wound clockwork toys. The farm show was great too with a shearing demonstration and a couple of superkeen Kelpies (Australian cattle dogs) showing off their rounding up skills. 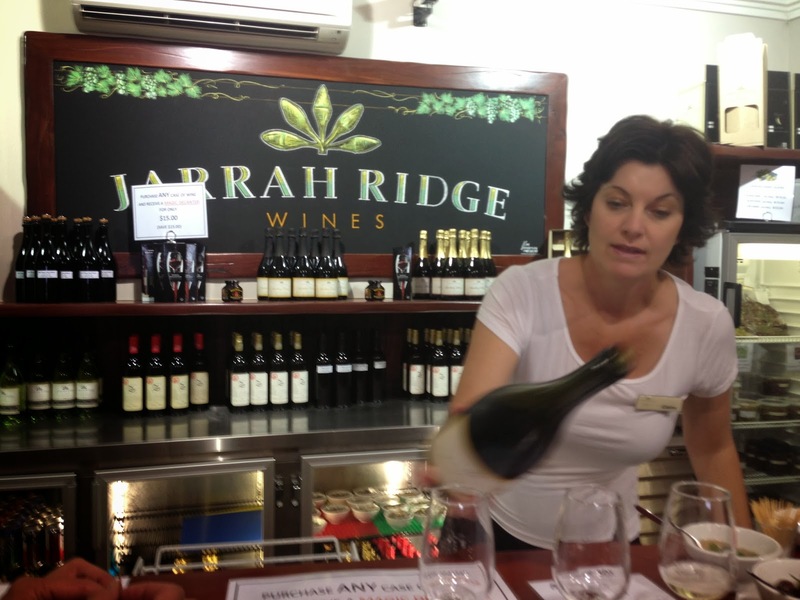 Our next excursion was a wine, cheese and chocolate tasting extravaganza on an ‘Afternoon Delight’ Swan Valley tour. The Swan Valley is Western Australia’s oldest wine growing region and is very well geared up for visitors with some very large wineries which export their wine all over the world and some smaller, cooler ones which don’t. We visited the Houghton, Jarrah and Swan Brook wineries as well as the Margaret River Chocolate company where we indulged in speed eating of chocolate ‘pastilles’ which melted in the hand before they got to the mouth if you weren’t on the ball. The white wines we tasted were indifferent on the whole with lots of chardonnay which I don’t like at all, but the reds were a much better quality. I think the white wine grapes do better in a cooler climate myself. However did meet some fun folk on the tour and once you’ve had a few tastings things get quite jolly anyway. The beer was also good apparently – the most fun name being ‘Rye the Hop Not’ on offer at MASH brewery and we had some very nice cheese, bread and olives to go with our various beverages..
Our guide Kitty, was very informative and I recommend it as a pleasant way to spend a few hours of your Australian afternoon. We didn’t take too long at each place so there wasn’t time to get bored of anything either. There was none of that trailing you round the stainless steel vats droning on about how they make it in the first place, which can become tedious. 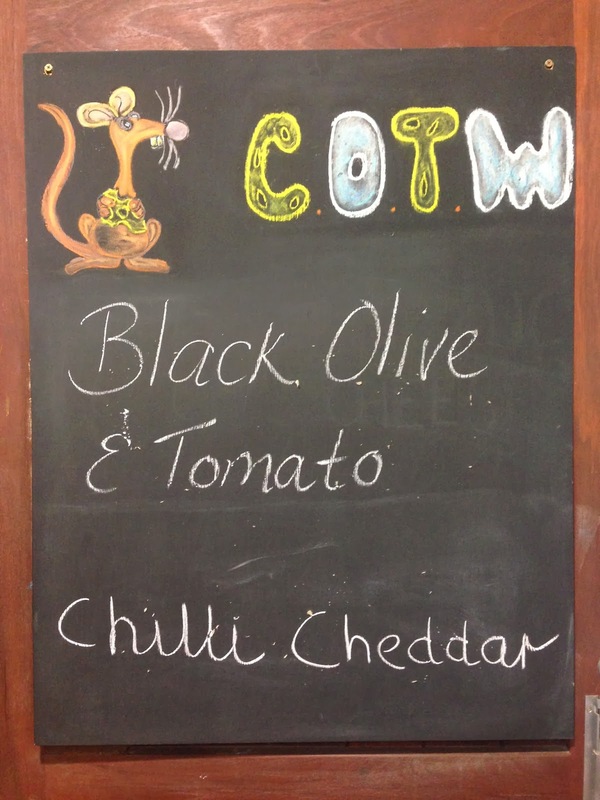 At Jarrah wineries we came across a blackboard pronouncing the acronym – COTW! One of our party who was in the military said that to her it meant George Bush’s Coalition Of The Willing in Iraq. It turned out to stand for – Cheese Of The Week! Anyway we bought some.. 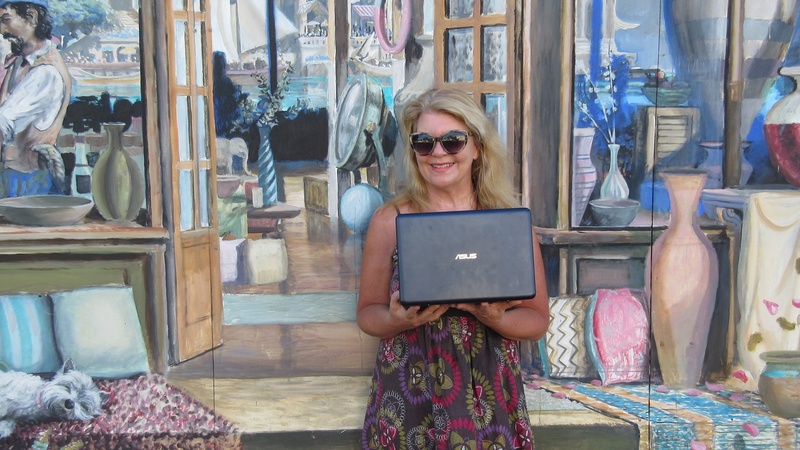 Yes – I do wake up sometimes!